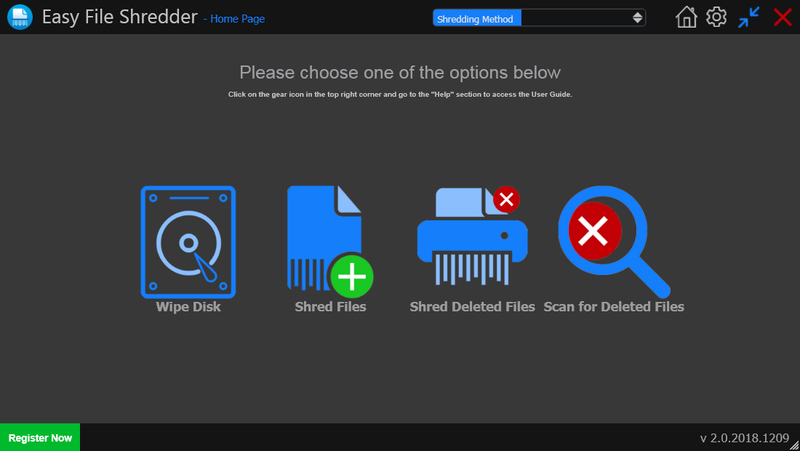 Will Easy File Shredder delete my Web browsing history? No, but we are working on it and hope to provide this feature in the next version of the program. Which operating systems is Easy File Shredder compatible with? Easy File Shredder works with files and partitions on Windows XP, Windows Vista, Windows 7, Windows 8, Windows 10 both 32-bit and 64-bit versions. Can I get a report of the shredded files? Yes. The program displays a report when file shredding is complete. We hope to provide the option to save reports for future reference in the next version of the program. I've just got a new Easy File Shredder license. How do I remove the old one? Please don't try to remove the old license key! Instead, submit a support ticket, include both your old and new keys and explain the problem. The Support Team will make the necessary adjustments to your old key. Can I shred files on a USB device? Yes! Easy File Shredder can delete files stored on USB devices. Will Easy File Shredder harm my operating system? No! Easy File Shredder only deleted files and folders selected by you or clean-wipes hard drive free space without touching any existing files. On top of that, it has a special feature that protects you against deleting system files by accident. 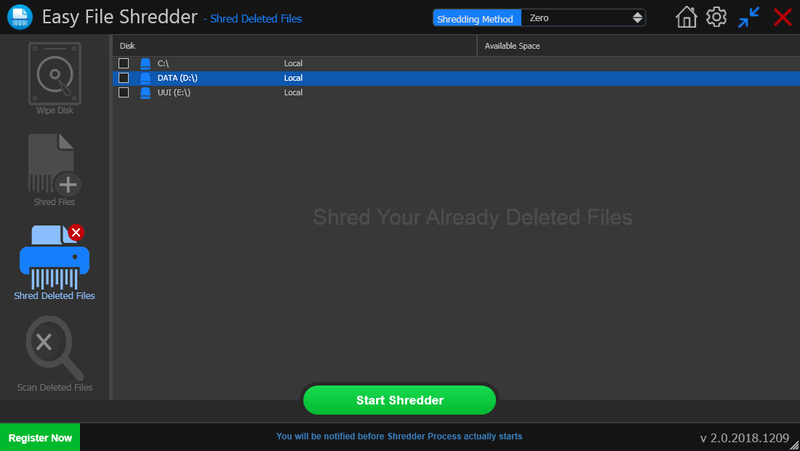 Will I need CSs and activation codes to reactivate my programs after using Easy File Shredder? No! Easy File Shredder will only shred the files specified by you and will not touch any of your installed software. Does Easy File Shredder work on a Mac? Easy File Shredder only works on computers running Windows. At this point Mac’s are not supported. We hope to include Mac support in a subsequent version. Once a file is shredded can it be retrieved? No! Once a file is shredded, it is completely overwritten and truly destroyed. How do I use Easy File Shredder? Do I have to shred my entire hard drive or can I delete just a file or folder? 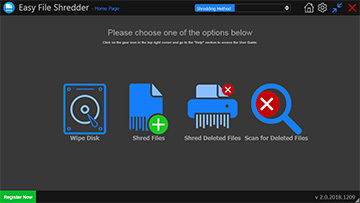 You can simply select the files you want to shred and let Easy File Shredder do the work. No need to wipe your entire drive when you want to shred specific files. Does Easy File Shredder work with SSDs? Yes, it does. You can use Easy File Shredder to erase data from HDDs, SSDs, and USB flash drives. Windows XP, Window Vista, Windows 7, Windows 8, Windows 10 are registered trademarks of Microsoft. Easy File Shredder is a trademark of Webminds, Inc. Copyright © 2019 WebMinds, INC. All rights reserved.